Much was made of the mysterious wonderkid Vinicius Junior when he arrived at Real Madrid, but the Brazilian may now have laid claim to the title of the next superstar at the Bernabeu. At least that is what many fans are now thinking, following his sublime performance in the Champions League last 16 round against Dutch giants Ajax on Wednesday. 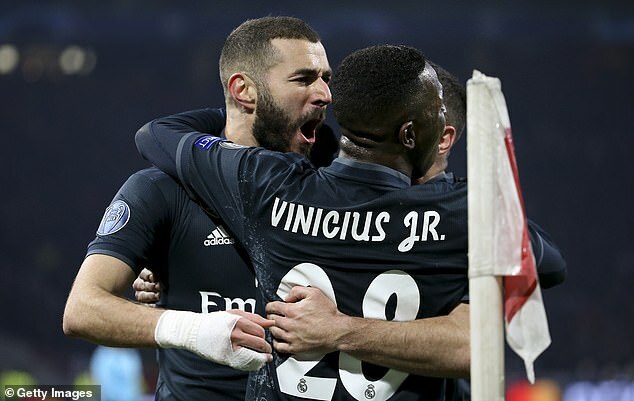 Vinicius starred in Amsterdam, and was crucial in getting Madrid into the contest. Putting on an assist for Karim Benzema to score the opening goal, fans instantly drew comparisons between him and the world’s best. Blistering down the left flank, Vinicius left full-back Noussair Mazraoui for dead with a drop of the shoulder and some insane pace. 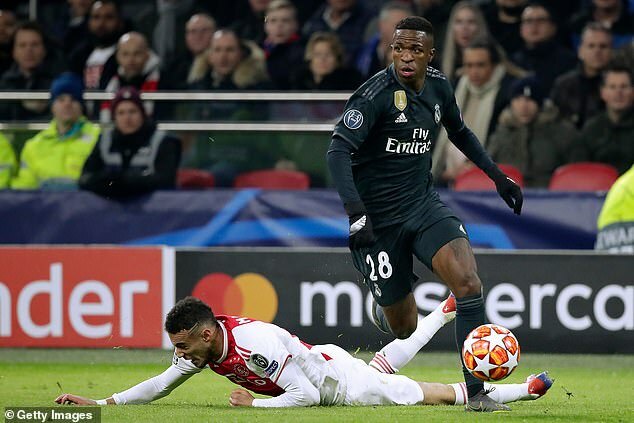 The young Moroccan defender was sent flailing to the turf, and even attempted to reach out and grab Vinicius to stop himself hitting the floor. Onwards bombed the Brazilian however, taking on another defender with minimal ease before expertly weaving into the area and putting the ball on a plate for Benzema to coolly slot into the top corner. ‘They actually don’t need Hazard next season,’ wrote one supporter on social media – in reference to Madrid’s expected move for the Chelsea talisman. Hazard recently claimed he has ‘made up his mind’ regarding the next step in his career, with many believing his heart is set on a move to Madrid in the summer. ‘Real Madrid got the new Neymar’ exclaimed another, comparing Vinicius to his compatriot who has also been linked with the Bernabeu. Vinicius sent Madrid on their way, though Ajax managed to close up the scoreline which ended in a narrow 2-1 win for the Spaniards. Madrid now have to defend their lead at the Bernabeu in early March for the return fixture, before which they face two back-to-back El Clasico showdowns with bitter rivals Barcelona in both the Copa Del Rey and La Liga.